Brenda Joey Curenton Maddox, 69, of Smiths Station, AL passed away Sunday evening, September 9, 2018 at St Francis Hospital in Columbus, GA.
A celebration of life funeral service will be held at 2:00 pm EST on Wednesday, September 12, 2018 at Union Grove United Methodist Church in Smiths Station with her husband, Rev. Glen F. Maddox, Jr. and Pastor Barbara Starling officiating. Interment will follow in Church cemetery. The family will receive friends from 1:00 to 2::0 pm EST prior to service at the church on Wednesday. 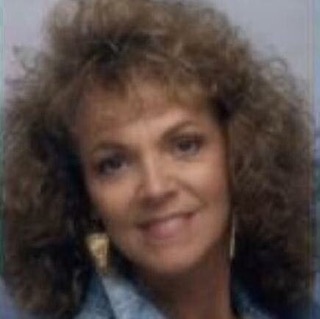 Brenda was born August 31, 1949 in Columbus, GA to the late Lonnie Joe Curenton and Thelma Joyce Adcock Curenton. She had worked with Burnham Van Lines and with Curenton Realty. Her world was the passion and love of her family and the many joys they all shared. She was a member of Fortson Road Church of God of Prophecy. She was a true lady of grace who will always be loved and never forgotten. She is survived by her loving and devoted husband of 43 years, Rev. Glen F. Maddox, Jr., two daughters, Dana Holmes and husband Ray, and Julie Adkins and husband Michael, two sisters, Donna Morsie and husband Greg, and Glenda Goodwin, one brother, Neal Pelham, brothers-in-law, Howard Maddox and wife Janice, and Zeb Maddox and wife Wendy, sisters-in-law, Eddie Kay Ashcraft and husband David, and Brenda Vitzen (Richard Vitzen); (6) grandchildren, (9) great grandchildren, numerous nieces, nephews, extended family, and many caring friends.